Dundee is famous for having two football teams but not many people know that there were once two very good athletic clubs in the city. Dundee Hawkhill Harriers had a counterpart – Dundee Thistle Harriers was founded in the same year (1899). ie only fourteen years after the first open athletics club in Scotland was established. The club had a distinctive running vest unlike any other in the country – a white thistle centrally positioned on a blue vest. 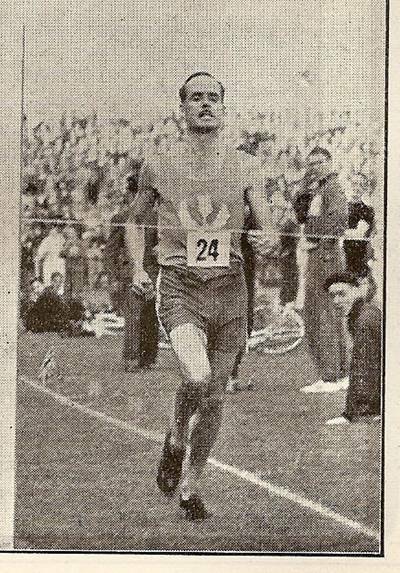 Dundee Thistle Harriers was a very good club which graced Scottish athletics for sixty years. Without access to the local press of the day the first signs of activity nationally are in the 1920’s and 30’s. When we look at its record in the major championships this will become evident. The next most important event in the cross country calendar was the District Championships, and again the club was successful wining the team title five times – in 1929, 1932, 1934, 1935 and 1947. The District Relays were monopolised by Edinburgh Northern Harriers and Dundee Thistle between 1926 and 1936 with the Thistle winning in 1928, 1929 and 1936 and ENH having 9 victories. These were not easy victories however with ‘keen tussles’ between both clubs with Edinburgh Southern Harriers also in the mix. Of course, the winter was not just cross-country: road races took place then and, from 1930, the biggest of these was the eight-stage Edinburgh to Glasgow Relay Race. The Thistle team acquitted itself well and was second in the very first race. The club record was a good one. In the inaugural event in 1930, the club set three stage records, J Brannan on the second stage, JM Petrie on four and J Suttie Smith on six. Only 53 seconds behind all conquering Plebeian Harriers it was a good show. Not one of the above trio turned out in 1933, their next appearance, but the club was again second with JMS Melville setting a new stage record on eight. There were two races in 1933 and the team was second to Plebeian again in the second running. 1934 was the first year in which the club won the race with a team of Slidders, Gowans, Murray, Adams (fastest stage time on four), McKechnie, Coburn, Simpkin and Hay. Several of these names will be mentioned later in their own right but it should be noted that Slidders and Hay had run in all races so far. In 1935 the ‘old order’ of Plebeian, Dundee Thistle and Edinburgh Northern sharing the spoils was disturbed when Garscube Harriers finished second to Edinburgh Northern with Plebeians third and Thistle fourth. Fourth again in 1936 as West Coast clubs Bellahouston Harriers and Shettleston Harriers finished first and second with Plebeian third and Thistle again fourth. Regrouping a bit in 1937 Thistle won the event for a second time with AT Whitecross fastest on stage four taking the club from third to first – a position which they held to the finish in Glasgow. In 1938, they slumped a bit to third place although AM Donnett was fastest on the first stage. 1939 was the last race of the series before the War and the club could do no better than sixth that time out. It had been a very good run of results in the nine years while local rivals Dundee Hawkhill had not yet contested it. They were back in 1949 but finished eleventh and were to win no more medals in the race with their best position being seventh in 1952 and 1953. City rivals Dundee Hawkhill Harriers first ran in the race in 1961 when they finished sixteenth, taking the award for the most meritorious unplaced performance. 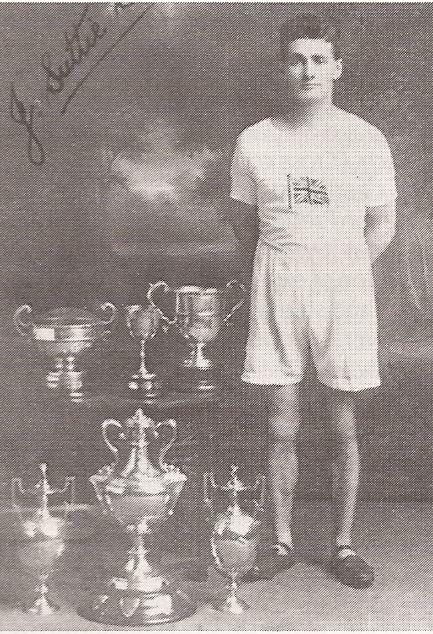 Between their inception in 1899 and the start of the War in 1939, Dundee Thistle Harriers had been one of the top teams in the land winning gold, silver and bronze in National and District Championships, in District relays and in the prestigious Edinburgh to Glasgow relay. They could not have done this without some outstanding individuals among their ranks. John Suttie Smith is a very interesting character who ran for five clubs in the course of his career – results here are only for his time with Dundee Thistle Harriers but for his whole career click on the link. He ran for Scotland in the cross-country international a total of ten times (four with Dundee Thistle Harriers), won the four miles title three times and the ten miles title four times, and he also set national records for the three miles (14:41.2) and ten miles (51:37.8). He finished his career with city rivals Dundee Hawkhill Harriers. In the East District Championships, the individual winners are noted below. CD Robertson of course was a top class marathon runner and he won the District Championship for the second time in 1950. That was the last year in which he won the championship. “Dundee Hawkhill Harriers and Dundee Thistle Harriers were struggling to maintain member numbers, with so many heading off to the armed forces. In 1940, the Luftwaffe bombed the Thistle Harriers clubrooms in Abbotsford Street. “Seasons 1939-40 and 1940-41, you will doubtless recollect, were pretty drab and uninspiring events everywhere, but nowhere, I think, could they have been as dismal as Dundee. Of the score or so clubs affiliated to the Eastern District Committee, NCCU, in 1937-38, all but Thistle and Hawkhill were, through force of circumstances, obliged to close down for the duration. Rapidly depleting memberships, owing to the call-up, scarcity of recruits, and lack of competition resulted in a not unnatural waning of interest in the ranks. The races promoted included the start-up of the East District Cross-Country League, and old idea that had long disappeared from the fixture list, the Dundee Kingsway Relay, the ‘Round Dundee’ Relay and, after the war, the Perth – Dundee marathon was another joint project. The League was credited with a very successful Dundee representation in the SCCA Championships during the war. The SCCA was an ad hoc body appointed to look after the sport for the duration and they held an unofficial Scottish cross-country championship. In 1941-42 it was won by A Haddow of RAF Leuchars with James Brannan, the ‘live wire’ Hawkhill man partly responsible for the re-start of the League, in sixth position. The following year Jim Brannan won for Dundee Harriers and although the team was not quite as successful as the individuals, it was never out of the first four teams between 1942 and 1945. 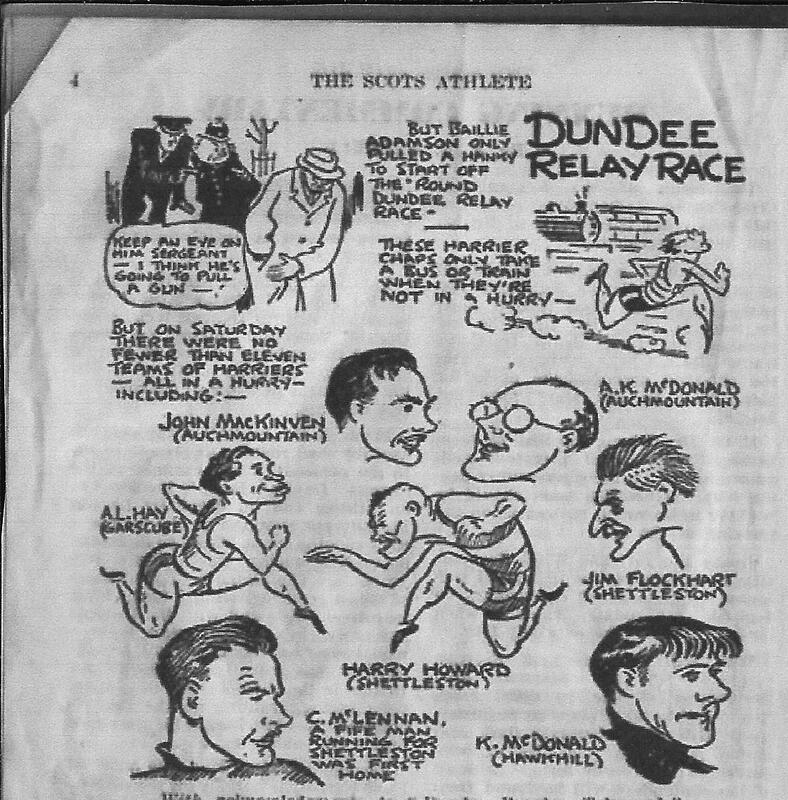 The cartoon below is self explanatory: in the first issue of the ‘Scots Athlete’ it was one of the last promotions of Dundee Harriers. But the reality was that there were hard times for all athletic clubs after the war. This was as true in Dundee as elsewhere but the club’s difficult times were perhaps disguised by the brilliant running of Charlie (sometimes Chick) Robertson. Between the first post-war national in 1946/47 and their demise in 1959/60, the club did not finish a complete team at all in the premier national event. In ’46/’47 there was an incomplete team the following year a Youths team was 12th out of 20 clubs and that was it. Robertson ran in six nationals between 1947/48 and 1952/53 and there were a few Juniors and Youths running as individuals but that was it. Dundee Hawkhill first appeared after the war in 1954/55 when a Youth team was ninth and their strength built up over the years – in 1956/57 the Youth team was seventh and the Junior team was twelfth. Their first medal winners were theboys of the Youths team in 1959/60 who finished third. 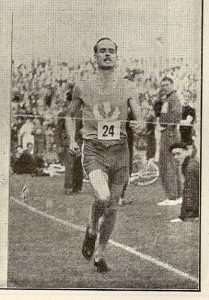 The last appearance of a Thistle runner in trhe national was in 1958/59 when J Abbott was 52nd in the Youths race and J Fotheringham 51st in the Junior event. In the District Championships, the results were slightly better but followed a smilar pattern. In the first championship after the war, the club provided the individual (CD Robertson) and team winners. There followed two years when no team in any age group was forward from the club. The placings for the years from 1950 to 1957 inclusive were seventh, incomplete team, third, second, fourth, sixth, sixth and eighth. There was no club representation after that. The running done on the club’s behalf by CD Robertson hgas to be remarked upon. Even when he was obviously unfit, he turned out seven times between 1950 and 1957 finishing first, second, – , fourth, sixteenth, eighteenth, twenty ninth, twentieth. There were times when he was not the club’s first man home but he still turned out. Six men were required for a team here, but only four were needed for the relays, so how did the team fare there after the war? About the same as in the national, Edinburgh to Glasgow and Districts is the answer. Teams entered and ran in 1947 (fifth), ’48 (12th), ’49 (fifth), ’50 (fourth), ’51 (fifth), ’52 (two teams: fourth and 17th), ’53 (seventh), – , ’56 (eighth), ’57 (15th). Some good runs, mostly by Robertson, but that was it. By 1960/’61 the club had not raced in it for several years and Hawkhill Harriers were running three teams in it. Several of the names listed by Hawkhill were those of runners who had turned out for Thistle. Dundee Thistle Harriers had been a very good team right up until the war in 1939 but they never seemed to recover from it, the momentum was lost and the trajectory was downhill until 1960 when they were no more. Hawkhill Harriers were to be the Dundee club to carry the city’s athletic hopes on into the twenty first century.